From long sight-lines to up close and visceral gameplay, Halo is a series that keeps on delivering the dramatic gameplay and open-linear engagement tactics that shooter fans love. With the return of Master Chief and Cortana, we are back with the stoic and faceless soldier that we have come to know and love. The Reclaimer Trilogy focuses more on storytelling, and dramatics. With the addition of Spartan Ops and war games, the game seamlessly combines the campaign and multiplayer. With this combination, you get different perspectives in the Reclaimer Trilogy and the events of Halo 4. The way the game combines the three game modes works in this fashion. Master Chief is the main story, the multiplayer’s matchmaking is called war games which is simulated battle scenarios where the Spartan IV’s inside the UNSC Infinity are able to train to be lethal fighting force to protect those on board the Infinity. Spartan Ops is the side story of the Main Campaign where the Spartan IV’s would go on missions to benefit survival. With the switching of hands of the title between Bungie and 343 Industries, you can expect changes within the game. Keep in mind these changes are not completely game changing, just new mechanics to a new series. But in a genre where repetitive gaming style becomes common, innovation is desperately needed. Thankfully in this game, it seems that innovation in storytelling, multiplayer, and cooperative play has paid off. As we venture into the E3 demo, you will notice some gameplay mechanics that changed from recent Halo games that star Master Chief. First you will notice that Chief can now sprint without the armor ability. This is something that is welcomed in my eyes, I mean, you’re a super soldier right? So why not sprint? As you go further into the walkthrough, you will notice that Chief responds to Cortana during gameplay. This has never been done by Bungie. Maybe this is to be in keeping that you are meant to be Master Chief in Bungies perspective. Next, you get a taste of a new armor ability called Promethean vision. Imagine it as a short range, enhanced thermal upgrade for Chief’s optics. This armor ability allows for short to mid range thermal-visual enhancement to identify friend or foe. Talking about the campaign, you will notice three new enemy types. The Promethean Crawler, Watcher, and Knight. Fighting the Covenant for the past 10 years has made us relaxed because we know what they are going to do. You kill the elite, the grunts run haplessly only to have their brains fly out and fall lifeless to the ground. But with these new enemy types, you have to think. The Covenant was a point aim and shoot, but the Prometheans, you have to predict where they are coming from and attack from there. For example, the Promethean Knight, spawns the Watcher. Throw a grenade and the watcher catches with a beam and throws it back at you. But theres a delay before he throws it. throw your grenade, let him catch it, shoot the watcher, grenade falls, boom. It seems the gameplay promotes thinking ahead instead of blindly shooting and hoping everything falls to kiss the ground. The most interesting part of the campaign though is the story. The story takes place on a Forerunner planetoid called Requiem. Requiem is inside of what is called a Dyson Sphere. A Dyson Sphere is a protective shell around a planet when the Rings would fire off their genocidal pulses. Requiem, the planet inside of the Dyson Sphere, is a safe haven for Forerunners to go when the time came to activate the rings. The Dyson sphere is also separated from normal space-time symmetry, therefore time is irrelevant inside of the Dyson sphere. If you have read the Halo books Ghost of Onyx, and First Strike, read all of the terminals in of Halo 3, and watched all of the terminals in Halo: Combat Evolved Anniversary, you will have seen 3 things come up repeatedly. Something called the Librarian, The Didact, and Master Chiefs former squad mates, Linda, Kelly and Fred. 343 Industries did say that they were, “going to explore Master Chief in a more dramatic, emotional way. No he won’t cry, and he will remain a stoic hero”. This is a theory, but since 343 said that, i cant help but think that Master Chief will run into his old squad mates again on requiem. According to Ghost of Onyx, Dr. Halsey, Kelly, Linda, and Fredrick are all in the Dyson sphere, so maybe this is the dramatic and emotionality that 343 is promising. Moving onto the multiplayer, you have changes being made which changes the game while keeping it in a Halo style. One big change that has everyone talking about is the battle rifle. Its back and better looking and sounding then ever. Major nostalgia as I went back and played some Halo 3 SWAT. I had some great memories with that rifle. Other changes to the multiplayer include new armor abilities, score system, medals, progression system (armor permutations and weapon skins), load-outs, tactical packages, weapons, playlists, and something called Ordinance. Starting with new armor abilities, you have the choice of a thruster pack, Hard-light shield, promethean vision, and the hologram. The thruster is not to be confused with the jet pack. The thruster provides horizontal speed, not vertical lift. The Hard-light shield is effectively replacing the bubble shield. Since there are no health bars, the bubble shield is ineffective when it comes to healing. The Hard-light shield basically blocks all incoming fire coming from your front and will eventually phase out after taking enough punishment. Promethean vision is explained in the campaign, a short to mid-range shape recognition and identify friend and foe capabilities through objects and walls. This allows for more tactical gameplay which is what gaming needs instead of mindlessly running around and just pulling the trigger. Lastly, there is the hologram. The hologram emits a copy of you that runs on a straight line while distracting your enemies so you can flank and catch them off guard. The scoring system,slayer wise, in Halo has changed from solely on kills to a point based system, promoting teamwork and everything you do in a war games match. For example, I can act as a distraction and gain assist points adding to the overall score for my team. Or i can assist in killing another player. You can also get additional points by ending kill streaks, head shots, and risky moves like assassinations. There is a change to how you can set up your Spartans, from armor permutations and load-outs for your spartan, which include tactical packages and weapons. Its nothing that changes the game. Before you say this game is turning into a Call of Duty copy, the weapons you can put in your include the battle rifle, DMR, assault rifle, plasma rifle, carbine, and pistol. Load-out weapons are all balanced, its just a matter of preference and play-style. Armor permutations are just attachments to customize your spartan. Now tactical packages include a support and a tactical package. By activating one of each, play style comes into play. Tactical packages include a shield and a firepower package. The shield package allows for a faster shield recharge where as a firepower package allows you to carry two primary weapons instead of a primary and a sidearm. The support packages include an ammo upgrade, a sensor upgrade and, an awareness upgrade. Again, play-style is a factor when choosing a support package. Ammo upgrade allows your spartan to carry more ammunition which is essential if you are an assault type or a marksman where you do not have to worry about ammo. The sensor upgrade improves the sensitivity and radius of the radar. This package is good for flankers for location of targets for getting the jump on them. Then you have the awareness upgrade. While scoping in on your targets, you will notice that your radar disappears from your HUD. With the awareness upgrade, your radar will now remain constant when you are scoped or hip-firing. With new shooters, you can expect new weapons and vehicles to keep the game fresh and the player wanting more. There are ten new weapons that have been confirmed. There are a few that have been posted, but 3434 is doing a good job on keeping the details of the game under wraps. The weapons that have been showcased are the Sticky Detonator, Storm Rifle, Scatter-Shot, and the Light Rifle. The Sticky detonator is a magnetic one shot explosive that, well, sticks to walls. You can remotely detonate the explosive from a safe distance. The storm rifle is a New covenant assault rifle.It copies the Covenant Repeater from Halo Reach. The scatter-shot is a promethean shotgun that fires beams of energy that provides excellent stopping power close range. The projectiles also ricochet off walls. The light rifle is the Promethean equivalent of the DMR. Firing a single shot of energy, the light rifle provides stopping power from mid to long range engagements. While not new, the Battle Rifle is back. Between the DMR and the battle rifle, the DMR provides accurate stoping power at mid to long range while the battle rifle is great in both close quarters and mid range. 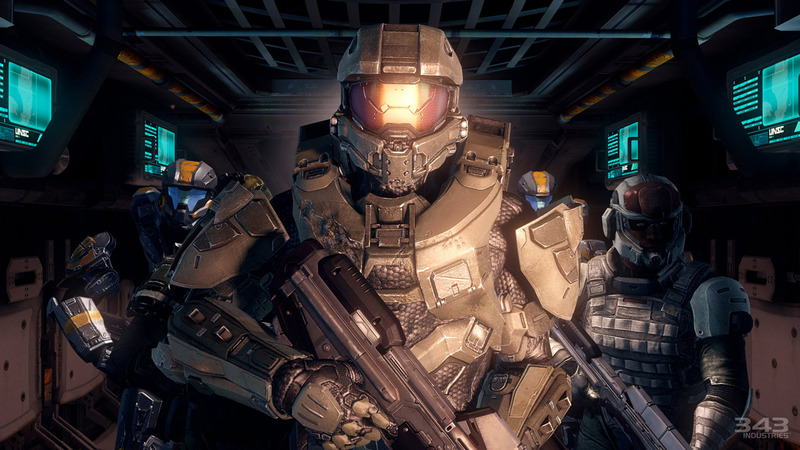 There are two new confirmed vehicles that have been confirmed for Halo 4. Even though they are not actually shown, there is one that has appeared in the multiplayer E3 showcase of the game. If you look at the map adrift, you can see a mech being made. The mech is called the cyclops. There is not much information relating the use of the Cyclops in multiplayer, but it will be a drivable vehicle in the campaign. There are two new confirmed playlists types in Halo 4, Slayer Infinity, and Regicide. Slayer Infinity is a slayer spinoff where all the aspects of slayer are in, but include weapon and equipment drops called Ordinance. Ordinance are weapons dropped from the infinity after gaining a set amount of points. Once you achieve the set amount of points, there is a HUD pop up that shows three directions and three different weapons. The weapons choices are completely random. What you want can solely depend on your play-style or what the team needs. Then comes the playlist Regicide, which is a free for all playlist. Regicide is the act of killing a king, where as in Halo, you kill the leader. The control schemes for halo 4 has had a haul over. Traditional controls call for X to reload, B for melee, Y for weapon switching, A for jump. The Default control schemes are laid out as followed: A is jump, B is crouch, y is to switch weapons, x is to reload, left stick is to move around and sprint, right stick is to zoom in, left trigger is to throw grenades, right trigger is to fire, left bumper is armor ability, and right bumper is to melee. A more comfortable control for efficiency is Boxer where left trigger is to melee, and the buttons remain the same to Halo 3 controls with the exception of b being sprint and where right bumper is to throw a grenade. This is all to your choosing though. Spartan Ops is a new cooperative game mode that explores the UNSC Infinity’s Spartan IVs and their missions. There are five missions every week for ten weeks for a new and unique story inside of the Halo Universe. You can team up with 4 of your friends or go solo. Imagine Spartan Ops as a mini television series that goes through a different perspective of the Universe. Season One is completely free to all Halo 4 players and is available launch day. Not much else has been released about Spartan Ops sadly. Starting in Halo 3, forge mode is a map editor where you can create your own maps and share them with your friends. Halo Reach received a huge Forge update where you can snap objects rotations, change the physics of objects, and customize the color’s and much more. The Forge update in Halo 4 is just as massive and innovative. Some confirmed changes include change in character physical attributes in certain segments of maps. In example: reducing fall damage, increasing speed, and increasing jump height. Other things include Locking objects in place, a better user interface, duplicating objects for efficient map making. An issue that people have been having with previous Halo games was leveling out multiple objects but with the combination of magnets and duplication, leveling issues should be a thing of the past. Whenever I would forge in Halo Reach, there was an issue with object lighting and shadow casting. 343 has done a fantastic job with implementing dynamic lighting within Forge mode. Since the Forge world have a single lighting source, a star or sun, the dynamic lighting comes into play which is a welcomed detail. People in the 343 forums are asking if there is an undo function. This would be a very well accepted aspect of forge, but with the magnetics, locking, and duplicating, 343 thought that an undo function would be useless. Along with up and coming hopeful variables to forge mode, there will be no weather settings and day and night settings sadly. There will be different types of forge world maps that will allow the player to explore their creativity. Halo is one of, if not, Microsoft’s best grossing game. With the relinquishment of titles from Bungie to 343 Industries, new ideas and innovations are expected in the game, from campaign to multiplayer. From what I have seen and gathered, 343 is doing an admirable job with the game. Not only does the gameplay look amazing, with in depth story telling and an open linear type gameplay with different gameplay modes, but the variety of what you can do in the game itself will make you come back again and again. 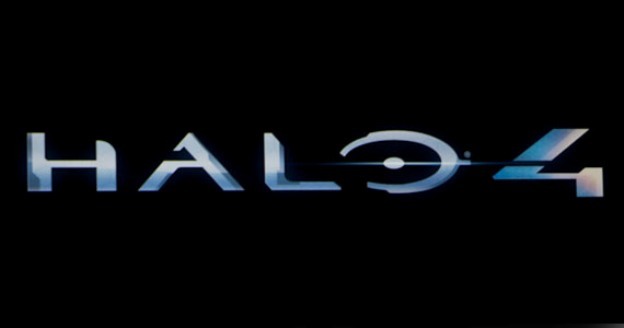 Halo 4 will be released November 6 2012. Waiting could be a new form of torture. An exciting new RPG…for Twitter?! Nice, I think Reach’s forge was alright. I liked a lot of the new updates and stuff concerning forge and its new features. I hope Halo 4 throws in something cool especially in multiplayer because I’d hate to see it turn into another COD MOD 3.